DO NOT use Bing Maps for directions. We are in the correct place but you are sent to the side of the car park which has no vehicle access. You can find us on your sat. nav. Follow the signs for Town Centre. Get into car parks lane. Follow signs for CitiPark Church car park. After entering the car park keep left following the signs for Shopmobility. At Wenzel's cross High Street. Church car park is behind Specsavers. The entrance walkway is on the rear left side of the car park. 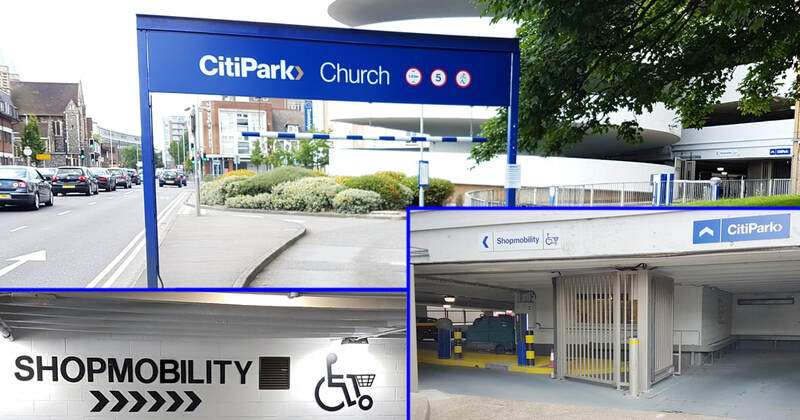 Once inside the car park you will see a large Shopmobility sign. Service road (New Street) behind CitiPark Church car park. If using a sat. nav. the following should help you find us. Try using "Shopmobility Watford" in the first instance. If the above does not work then try the post code "WD18 0BU"
You can also enter a grid reference "51.654483, -0.3974172".